Middle school science teachers from every state use Kesler Science resources. Use the alignment guides below to find the Kesler Science materials that meet your state standards. 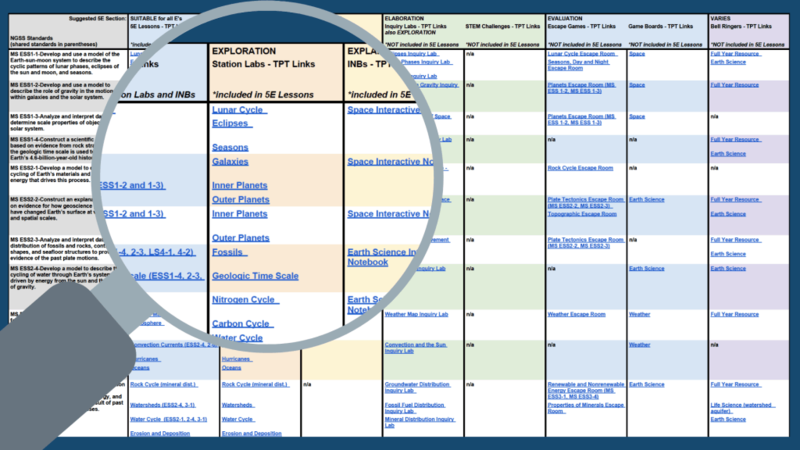 Find the materials that directly align with TEKS or NGSS standards, or see the materials sorted by topic. The Teachers Pay Teachers alignment guides link directly to my TpT store. Current Kesler Science Lab Members and others wishing to purchase directly from Kesler Science should use the alignment guides below. Lab members, sign in and click “Resume Course” to access your materials from these links. Kesler Science accepts school and district purchase order. To learn more about this process please head over to the Schools and District page.